After more than a decade of almost constant decline, the rate of suicide deaths in the United States has increased 24 percent over the past 15 years. In fact, the country’s rate of suicide is at its highest point since 1986, according to data released recently by the U.S. Centers for Disease Control and Prevention (CDC). Between 1999 and 2014, rates of suicide death increased for both males and females for all ages between 10 and 74. The highest rates of increase occurred between 2006 and 2014, according to the CDC. In 2014, the age-adjusted suicide rate for males (20.7 for every 100,000 population) was more than three times that for females (5.8). In the male population, suicide rates are most prevalent among those 75 and older. For females, suicide rates are highest for those in the 45-64 age range, which was also the case in 1999. But the greatest rate of increase for suicides took place among females ages 10-14. 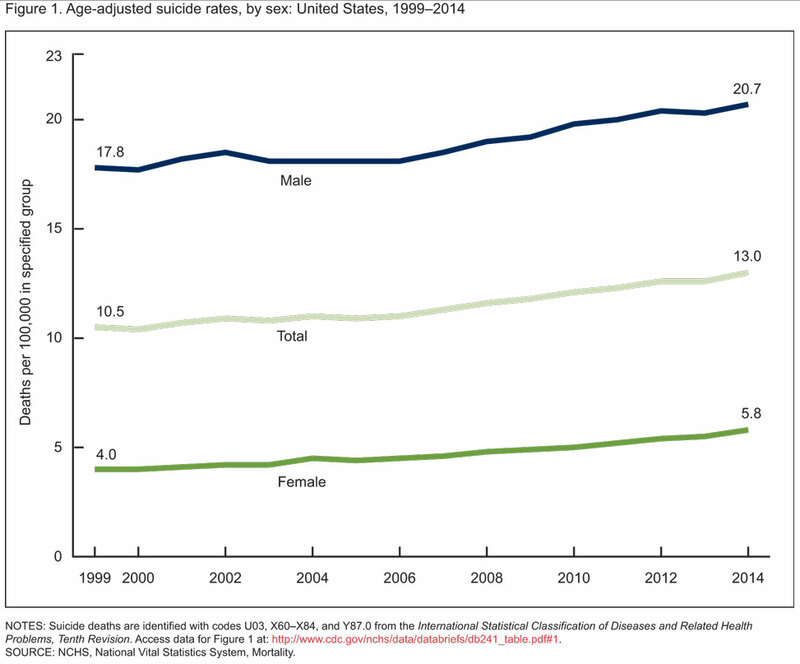 Although the total number of suicides among that population was comparatively small (150 in 2014), it represented a threefold increase between 1999 and 2014. Counseling Today contacted Doreen Marshall of the American Foundation for Suicide Prevention (AFSP) to discuss these statistics and what professional counselors can do to help bring an end to this concerning trend. Marshall, vice president of programs for AFSP, holds a doctorate in counseling psychology. Prior to joining AFSP, Marshall served as associate dean of counseling at Argosy University. As someone who has worked in suicide prevention for many years, what is your reaction to these statistics? We have known that the numbers have been on the rise, although it is sobering to see this increase over time, particularly in light of our ongoing efforts to prevent suicide. It is important to recognize that while other causes of death — such as those from HIV/AIDS, heart disease and breast cancer — have decreased over this time period, the suicide rate continues to rise. The data presented in this report is just one cross section of what we need to get a full picture of the suicide rates across America. We know that suicide prevention efforts that are concentrated and strategic can be successful. We have seen that targeted efforts can reduce suicide rates, and many of these can be expanded for wider impact and more lives saved. As a nation, we need to invest our time and resources in such prevention efforts, as well as in research to better understand the problem of suicide. There is a lot of data packed into this report. 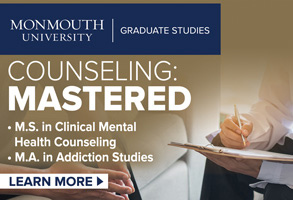 What are some of the main takeaways you would want to point out to professional counselors? We must do more to prevent suicide in our local communities, and this is where counselors can have a key role, both in terms of providing treatment to those who need it [and in] educating the public about suicide risk. All counselors need to be knowledgeable about the factors that contribute to suicide risk. Suicide is a complex phenomenon, and assessment also needs to consider risk factors in the context of the individual who is being assessed. Suicide risk increases when several life stressors and health factors converge at the same time. For example, 85 to 90 percent of those who die by suicide had a mental health condition, whether diagnosed or not, at the time of their death, so we know that the detection and proper treatment of mental health conditions can plan an important role in suicide prevention. Other factors that should be assessed include a person’s past history of suicide attempts or behaviors, access to lethal means, past history of child abuse or trauma, present substance use and current life stressors. 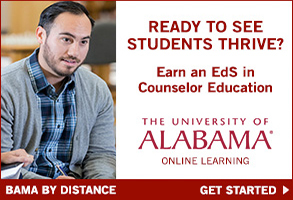 What do you want professional counselors to know about this situation? What should they keep in mind and be aware of? effect for the baby-boomer generation, in which suicide rates and other problems like substance use problems and other health conditions, and higher rates of life problems like divorce, have unfortunately followed this demographic population from their earlier stages of life. Despite these considerations, it is hard to know all of the factors that may have contributed to the increase. But we do know that the suicide rate is higher now than in the past. 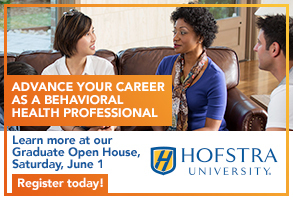 From your perspective, is there anything counselors could or should be doing differently in their work with clients in light of this data? Many of us may not have had extensive training in suicide prevention as part of our graduate work, so it is important to seek more information and training on how to effectively counsel someone who is experiencing suicidal thoughts or has engaged in a suicide attempt. Given the numbers, it is very likely that we will encounter someone who is suicidal or who has been affected by a suicide death in the course of our counseling work, so all counselors need to improve their knowledge and skills in this area. What advice would you give to counselors who work with populations that showed a sharp increase in suicide deaths — for example, girls ages 10-14, Native Americans, middle-aged adults? It is important to keep this report, and the increases noted, in context. While suicide does happen in young girls, it is fairly rare compared to the suicide rates in middle-aged and older adults. While the rise is of concern, it was based on an exceedingly low base rate in 1999 of 0.5 per 100,000. It was a total of 50 girls in 1999 and 150 in 2014 across the United States. The overall numbers of suicide deaths in girls ages 10-14 remain low. In the U.S., most of the persons who die by suicide are middle-aged and older adults, and terms of race/ethnicity are Native Americans, Alaskan Natives and Caucasians. That said, I think counselors should be aware that there is no one age, race or ethnicity that is immune from suicide, and risk should be assessed across all demographics and ages. In children and adolescents in particular, early detection and adequate treatment of mental health conditions such as depression, bipolar disorder and anxiety can go a long way in helping to reduce their lifetime suicide risk. What would you want school counselors, in particular, to know and keep in mind? School counselors should encourage their schools to have a policy for responding to suicide in students. They should also encourage regular training of school personnel to know the risk factors and warning signs of suicide as well as how to refer a student for further assessment if they encounter a student who is suicidal. 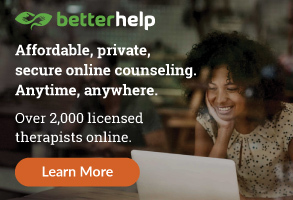 School counselors often play an important role when a student is suicidal, so it is important that they expand their knowledge in this area as well. From your perspective, how can counselors play a part in combating these statistics and preventing suicides? 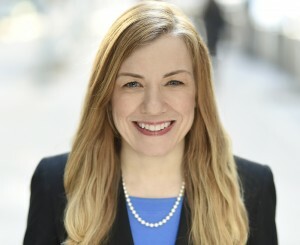 First, I would encourage counselors to familiarize themselves with risk factors and warning signs for suicide, as well as seek additional professional training in evidence-based interventions for those at risk for suicide, such as cognitive behavior therapy for suicide prevention (CBT-SP), dialectical behavior therapy (DBT) and collaborative assessment and management of suicide (CAMS), among others. At the minimum, all counselors should build their skills in assessing for suicide and assess their clients regularly. They should also learn about ways to effectively help their clients to manage their suicidal feelings between sessions, such as by using safety planning as a brief intervention. 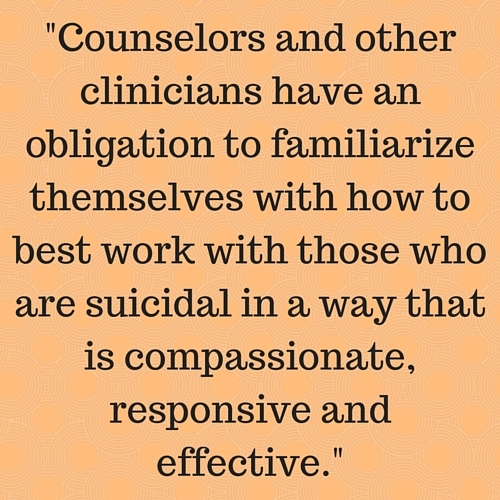 Counselors and other clinicians have an obligation to familiarize themselves with how to best work with those who are suicidal in a way that is compassionate, responsive and effective. I think one of the biggest barriers to prevention is that people, including counselors, are sometimes afraid to ask their clients directly about suicide. Asking about suicide does not increase an individual’s risk for suicide. 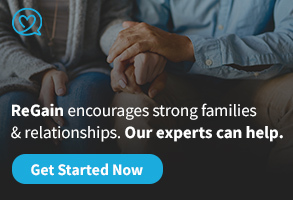 More likely, asking them conveys that you are paying attention to the difficulties they are experiencing and are willing to take steps to help them. It is important that we, as counselors, use our knowledge of suicide risk and of mental health conditions to work to educate the general public about suicide prevention. I would also encourage counselors to get involved with local and national advocacy efforts that support suicide prevention efforts. More information about advocacy and how to get involved in suicide prevention can be found at our website at afsp.org. Did you know the Substance Abuse and Mental Health Services Administration (SAMHSA) has created a smartphone app with suicide prevention tools and resources for practitioners? Find out more here.